There are times when an individual accomplishes something that others did not think possible, and there are times when someone pushes on toward a goal that is not easy to reach. Whenever anyone makes a big accomplishment – whether at school, at work, at home, etc. – that individual should be recognized for what they have done. The accomplishment should be celebrated. 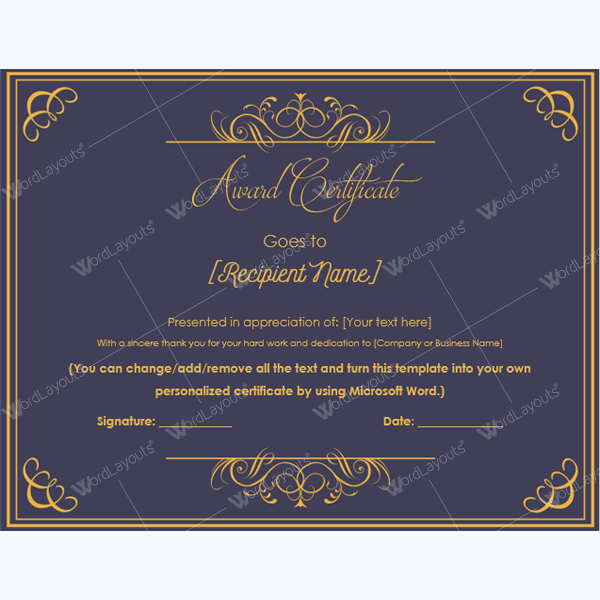 There are many ways in which an accomplishment can be celebrated, and one option is through the help that is offered in award certificate templates. When one is looking to award someone for something that they have done, they can use an award certificate to do that. 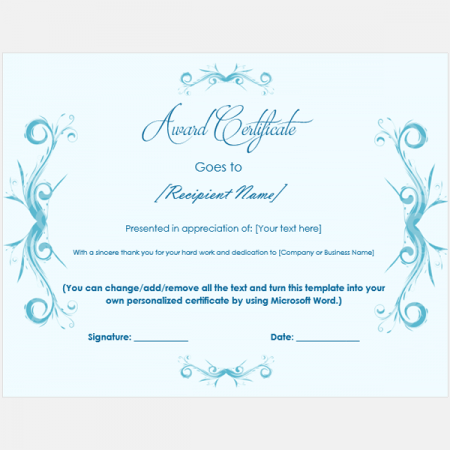 One can use printable award certificate templates to create award certificates that are simple and easy to understand, and the celebrate the accomplishments that someone has made. The certificates that are created can be given out to surprise and support those who have done something that they didn’t think they would be able to do. 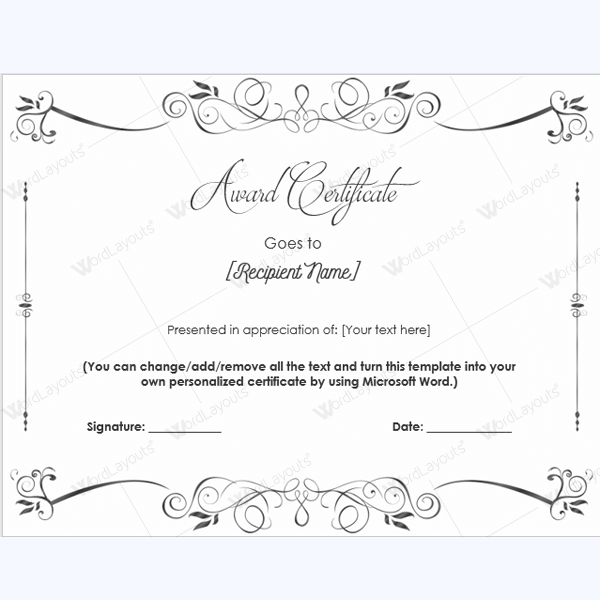 There are a variety of award certificate templates available, and teachers will find that there are options that work great for their students. Employers will find templates to help them in the workplace. 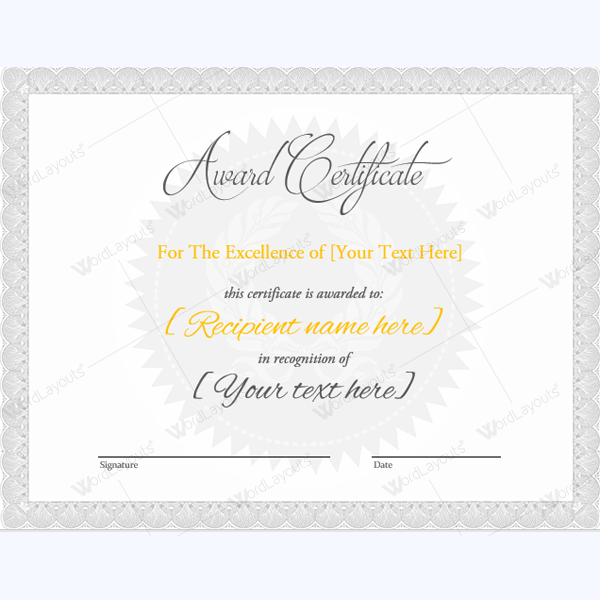 Anyone who is looking for award certificate templates will be able to find something that will meet their needs. 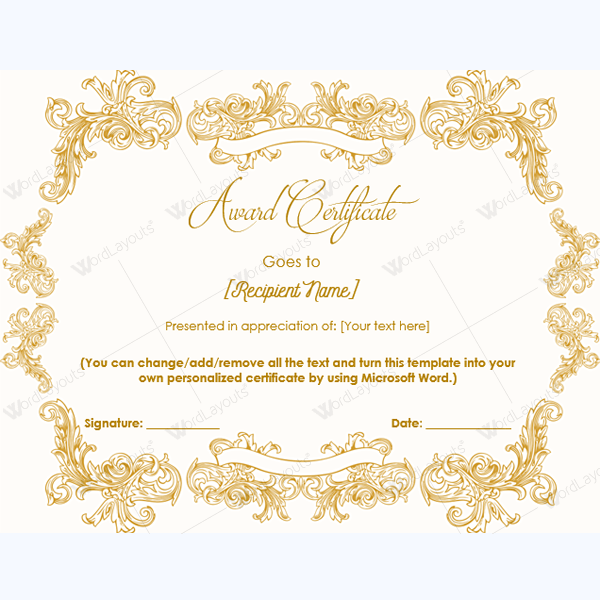 There are times when one wants to surprise someone with a certificate that celebrates all that that person has done, and there are award certificate templates available that can be customized to meet such an individual’s needs. The templates that are available can be changed up to meet your needs, no matter what those needs are. You will find that there is a template out there that will work well for the situation that you are in and for the individual you would like to award with a certificate.